This month's American Society of Quality Influential Voices topic is a review of an essay in the 2015 Future of Quality report. 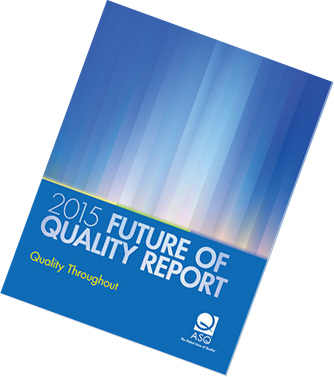 If you are an ASQ member, you have access to this compilation on 11 topics. I chose Jonathan Zittrain's Balancing Security With Openness in the Internet of Things. Mr. Zittrain is the author of The Future of the Internet - And How to Stop It (for purchasing info see link below). The term "Internet of Things" refers to all the devices that can connect to the internet and create systems to share data. Below is a 2-minute video by Intel that explains the Internet of Things (IoT). Another video by FW:thinking can be found here. Traffic cameras, electronic signs, and bus communication create an Internet of Things that can steer traffic away from congested areas. 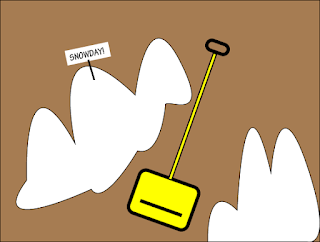 In Zittrain's essay, an Internet-aware snow shovel could provide data on frequency of use (Have the kids performed this chore? ), health data on the shoveler (Is his heart rate dangerously high? ), or assumptions on snow levels based on usage (Where do the snow plows need to go?). What are the quality issues of the Internet of Things? To answer that question Zittrain reviews the evolution of both the PC and the Internet. In the beginning anyone could write and share software to be used on PCs. Similarly, code for use on the Internet was unregulated. The second version of the iPhone introduced an effort to gain more control over outside code (apps) by offering them in a store with required certification. Currently there are app stores for PCs and phones across all operating systems. To meet quality manufacturing requirements, the product needs to be robust. It needs to be safely manufactured of nontoxic materials, as well. As devices become connected to one another, quality issues will expand. Will connectivity to other devices be limited to reduce variability in quality issues or will it be open to increase innovation and demand? What quality issues will open connectivity present? Will viruses run rampant and slow device efficiency or cause frequent crashes? How many and what type of sensors will be incorporated into products for connectivity and data sharing? Managing quality of the Internet of Things devices requires significant corporate decisions that are integral to their business plan. The proposed ISO9001:2015 standard emphasizes quality as part of the business plan and not a stand-alone entity. This falls right in line with establishing corporate policy on a product that is part of the Internet of Things. Laurel Nelson-Rowe, ASQ managing director, introduced May topics in her guest blog post: What's the Future of Quality? This article is available without ASQ membership.